Bonjour voilà j'ai une pièce et je sais pas à quoi elle correspond je n'ai aucune idée de sa valeur et me tourne vers vous pour plus d'info ! Philip I (AD 244-249). 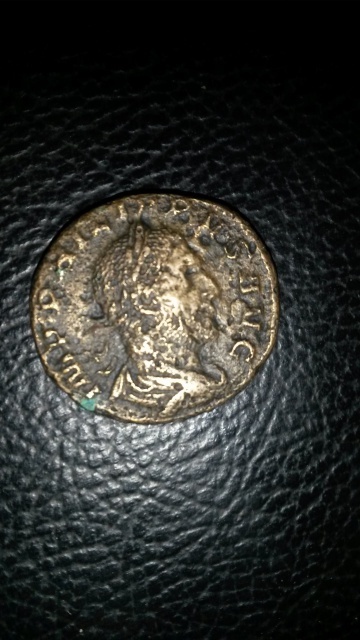 Æ sestertius (19.98 gm). Rome, AD 246. Laureate, draped, and cuirassed bust of Philip right / Annona standing left, holding grain ears over modius and cornucopia. RIC IV 168d. Banti 10. Rare! Banti records only two examples with this obverse legend. Dark brown patina. Very Fine. 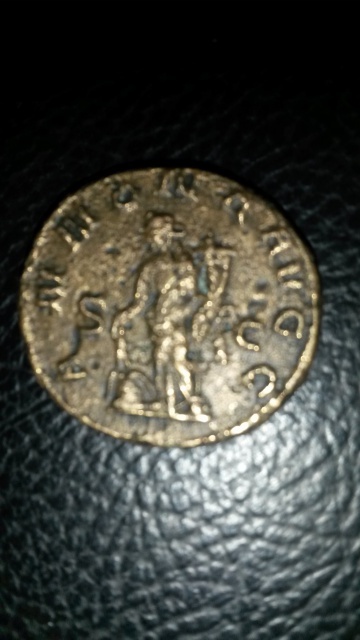 We need the diameter of your coin in mm to decide whether it is a sestertius as Pescennius suggests, RIC 168d, or the corresponding but smaller As, RIC 168e. Actually it is an As, despite its yellowish color on my screen. I happen to have a specimen from the same dies, 23-24 mm, 11.63 g.